Bake your cupcakes. Smear white frosting on top. Add your green sprinkles. Add three chocolate rocks on top of each cupcake. 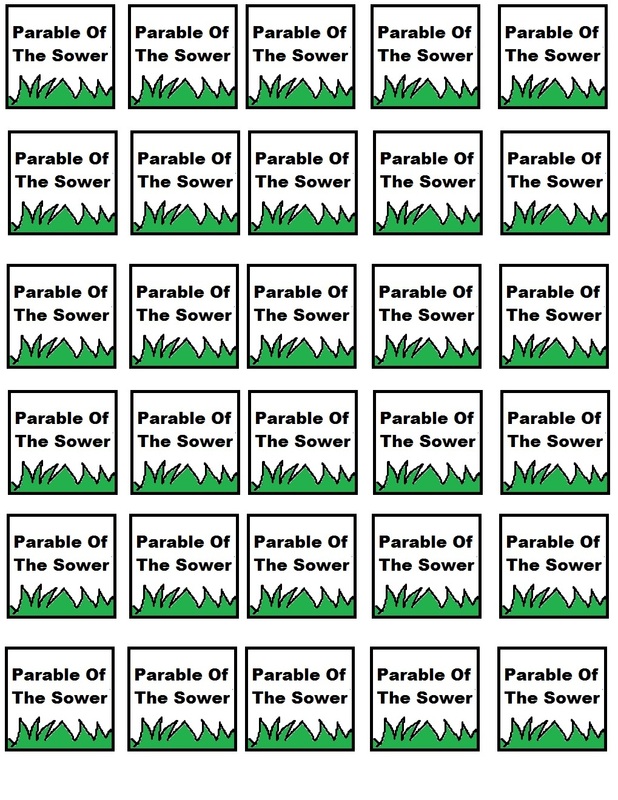 Print the parable of the sower cupcake template out. Cut them out. Laminate if you want. Tape a toothpick to the back of the picture and stick down in the cupcake. Make these cupcakes for the kids during children's church or Sunday school. Combine this with the Parable Of The Sower Sunday School Lesson we offer. It has a coloring page, craft, clipart, maze, and more.